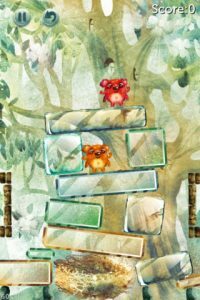 If you’ve been looking for an iPhone game with an ethereal, otherworldly quality, then you simply must check outMagic Forest Pro, developed Ola Games. In an Apple marketplace crowded with cookie cutter games, Magic Forest Pro is an iPhone game that stands out from the pack because of its atmospheric, beautiful graphics. The gameplay mechanics themselves aren’t particularly revolutionary. 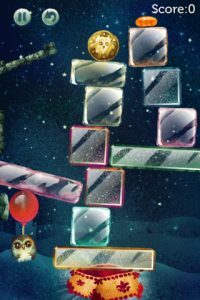 If you’ve played games like Red Star Fall or Totem Destroyer, then you’ll be familiar with the kind of drop-based physics gameplay used in Magic Forest Pro. 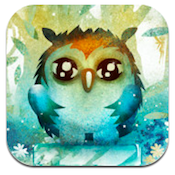 Your goal in Magic Forest Pro is to ensure that adorable woodland creatures like owls and bears are dropped safely into their nests. To do this, you need to tap on blocks that are in the way, thus guiding the creatures back to safety. The physics puzzles are easy on the eyes, while still remaining challenging throughout each level of gameplay. 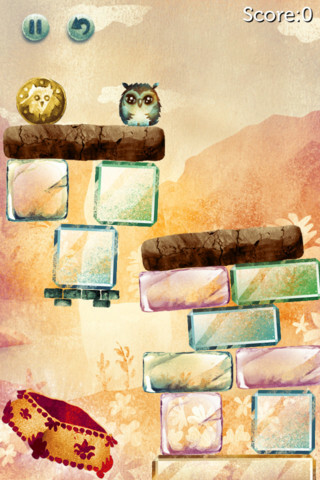 Each puzzles consists of a blend of block elements. There are glass blocks, bouncy bits of jelly, and various cages, all of which combine to create levels that are sure to require some thoughtful strategy to beat. Now, if you do find a level you can’t quite master, there’s a quick fix: 99 cents lets you make an in-app purchase to skip a level. I just can’t say enough nice things about how beautiful the backgrounds are in this game. Along with lovely, whimsical character designs, there’s simply not another game in the entire App Store that looks like Magic Forest Pro. 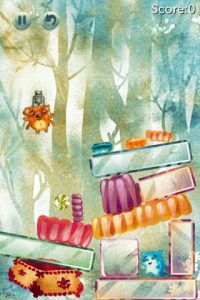 With 80 levels to master, tons of animals to save, and plenty of gems, coins, and sweets to collect in order to get the highest possible score, Magic Forest Pro is an iPhone game that has tons of replay value. For less than a buck, Magic Forest Pro is one of the prettiest iPhone puzzle games you’ll find. Magic Forest Prois compatible with iPhone, iPod touch, and iPad. Requires iOS 4.3 or later.A small expedite fee was paid by the developer to speed up the publication of this iPhone game review.